While facing changes in industry regulations and increasing competition from other transport services, Wollongong Radio Cabs wanted to remain the preferred point-to-point transport choice in the Illawarra region. After serving the entire Illawarra region from the top of Helensburgh to south of Albion Park for the past 58 years, the business needed to future-proof its offering. Wollongong Radio Cabs General Manager John Megas approached Business Connect Advisor Martin Rogers to help review their business model. At the first meeting, Martin worked with the board and General Manager John Megas to help the management team understand the importance of strategic thinking. The focus was on building the brand, improving customer bookings and service, looking at revenue streams and technology platforms. With all of this advice, John and the team reached out to TAFE NSW to deliver a tailored customer service-training program for their drivers and call centre operators to improve the passenger experience. 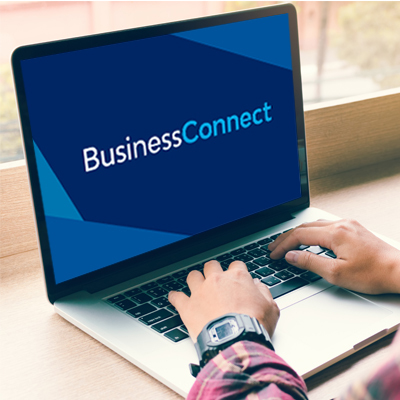 In April 2017, John reported Business Connect’s service had helped grow his business by at least 30 percent. John and the board were confident in preparing a strategic vision for the company’s future. As part of the long-term strategy, a new brand, Illawarra Taxi Network, was developed and all 136 vehicles in the fleet were rebranded. The change modernised the company and would help achieve their goal of remaining the preferred point-to-point transport choice in the Illawarra region. ‘I can’t explain how valuable Martin’s help was when it came to rebranding into Illawarra Taxi Network,’ said General Manager John.